A mindblowing performance from legendary reedman Ornette Coleman – captured here completely on fire, and working with his groundbreaking trio that featured David Izenzon on bass and Charles Moffett on drums! 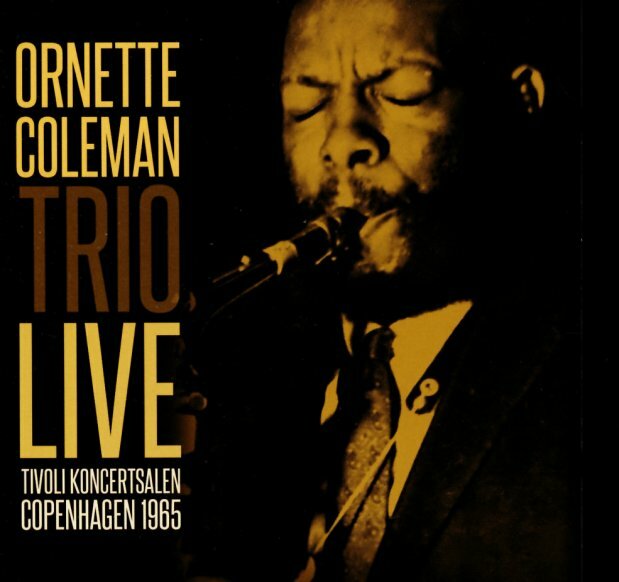 This material was recorded by Danish Radio a few days before the performances that ended up on Ornette's Live At The Golden Circle albums on Blue Note – and like those sessions, the vibe is completely different than the Coleman sound of the Atlantic Records dates a few short years before – very open and free, at a level that made this tour a huge influence on the sound of European improvised jazz for a long time to come! Ornette plays a bit of trumpet and violin, in addition to his alto sax – but it's that instrument that we love the most, and which maintains this strongly soulful vibe – on titles that include "Falling Star", "Clergyman's Dream", "Lonely Woman", and "Sadness". © 1996-2019, Dusty Groove, Inc.